Living… at Thornfield Hall, a family manor. It's a little dusty, but it's still grand enough, and Rochester likes the place physically. At the same time, there's a part of him that "abhor[s] the very thought of it." Profession… master of the house. As a wealthy man, Rochester's only real responsibility is to manage his estate – which, considering how often he travels, he doesn't seem to do very well. Interests... like most well-bred men, traveling and socializing. Not that he necessarily likes either activity. Rochester spends more time snarking at his society "friends" than actually enjoying their company. Relationship status... complicated. No doubt about it, Rochester is a picky man—even after 10 years of searching multiple countries for a wife, he still hasn't found his "ideal of a woman." Rochester's seen the greatest beauties of England, France, and Germany and found them wanting. 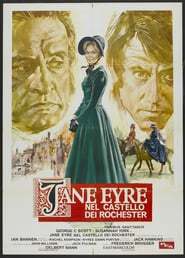 Yet when plain, penniless Jane Eyre comes to Thornfield, Rochester is intrigued. Challenge… finding love, maybe. 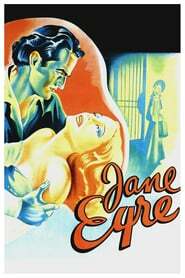 Jane Eyre is a striking creature, "at once so frail and so indomitable" that Rochester can't help but be smitten. Happiness, however, has never been something Rochester is good at, and the ghosts in his past might ultimately prevent him from finding it with Jane. Personality...proud and often cruelly sardonic, but also tormented. Rochester doesn't think of himself as a good man, but his actions speak to a braver, kinder person beneath his brusque behavior. While most people just see his fiery temper, Rochester's passionate personality means he's also capable of great tenderness. Edward Fairfax Rochester's popularity ranking on CharacTour is #1598 out of 5,000+ characters. See our top-ranked characters and read their profiles. 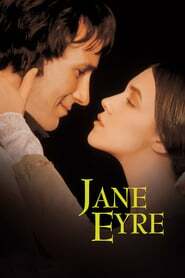 JANE EYRE is a 2006 television adaptation of Charlotte Brontë's 1847 novel of the same name. The story, which has been the subject of numerous television and film adaptations is based on the life of the eponymous orphan. 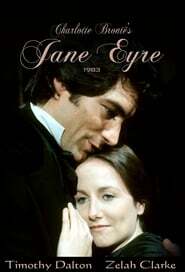 This four-part BBC television drama serial adaptation was broadcast in the United Kingdom on BBC One. 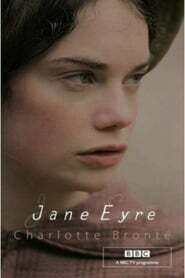 Jane Eyre is an orphan, sent to Lowood school, and eventually becomes a governess at Thornfield hall to a girl named Adele. While she is there, many strange things happen and eventually she and Edward Rochester, owner of Thornfeild and Adele's guardian, fall in love. Suddenly, when Jane is about to win the happiness she deserves, a dark secret comes to light, and it will take all of her courage, love and understanding to triumph.